A catastrophic fire at Notre Dame Cathedral in Paris has left a country, and the world, in mourning. Emmanuel Grégoire, deputy mayor of Paris, says Notre Dame’s organ – which is among the world’s most famous and biggest – remains intact after the devastating fire at Paris’s 856-year-old cathedral on April 15th. The news is a relief for music lovers in mourning around the world, as the organ is one of the most treasured belongings of the cathedral. The mayor told BFMTV that a plan to protect Notre Dame’s treasures was rapidly and successfully activated. [UPDATE] According to Bertrand Cattiaux, an organ restorer that takes care of the upkeep of the invaluable piece, the organ "did not suffer from the fire, that it was damaged by water infiltration from fire hoses, but not catastrophically." The likes of ABC News and BBC News have reported that the water sprayed from the hoses of the firefighters protected the organ pipes from the fire, preventing the pipes from melting altogether. This, in itself, is a miracle given the catastrophic damage the fire caused up on the roof. The level of damage to the organ still needs to be evaluated fully given the intense heat inside the cathedral. The Great Organ is a remarkable piece of work. With five keyboards, 115 stops and just shy of 8,000 pipes, it is one of the world’s largest organs. In fact, it was the world’s largest until Jean-Baptiste-Nicolas Lefebvre completed the monumental organ in the Basilica of St. Martin of Tours. The earliest known organ within the cathedral was built by Friedrich Schambantz back in 1403. A huge renovation took place in the 1730s, in which another organ builder, Francois Thierry, reworked Schambantz's organ. The current organ was built in 1868 by French organ builder Aristide Cavaille-Coll. Much of the pipework from the former instruments were included in his design. Take a look at our special Viva La France issue. The Great Organ of Notre Dame prior to the fire. The design has been renovated a number of times over the years. One of its most notable renovations occurred back in 1992, when the mechanical connections within the organ were replaced with computer digital technology. 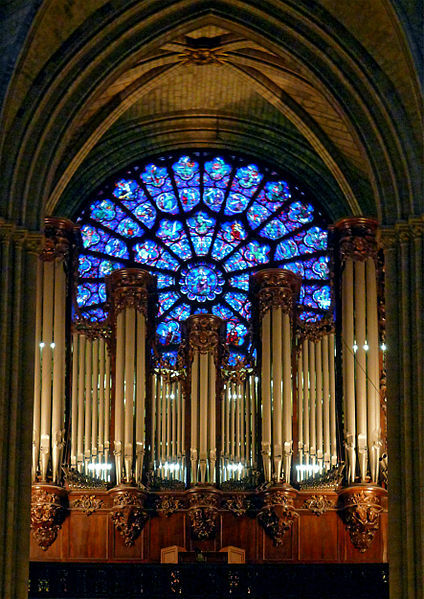 The change initially failed, leading to one of Notre Dame’s organists, Jean-Pierre Leguay, labelling it “painful and embarrassing.” He continued, “It’s not good for our image. The technology worked off and on for a while, but was never completely reliable, and in May (1994) it broke down in the middle of a concert and we stopped using it at all for a while.” The system was restored 3 months later. The renovators have always strived to maintain some of the organ’s original features. Indeed, some of the organ pipes originally installed in the Medieval Era are still in place today. The catastrophic fire destroyed the historic spire amongst other relics. 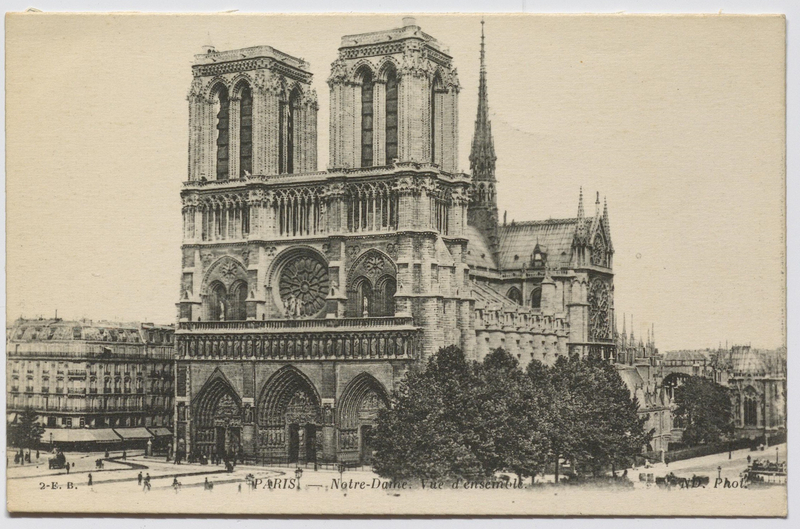 Thankfully, the exterior of the cathedral was mostly saved, which gives France a chance to restore the monumental building in the future. Police and firefighters worked through the night trying to save as many of the cathedral’s treasures as possible. The Holy Crown of Thorns was among those saved. In one of the most stunning yet haunting moments from the night of the fire, a group of Parisians sang Ave Maria as Notre Dame burned. Watch the video below. With the news that The Great Organ has been saved, we can thankfully look forward to hearing the angelic music created on such an extraordinary instrument in the future. Learn piano works by some of France's greatest and most respected composers by signing up to Pianist.